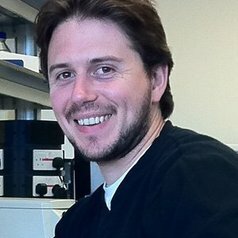 John O'Neill did his PhD at the University of Cambridge, working with Mick Hastings at the MRC Laboratory of Molecular Biology. Following a brief stint of post-doctoral research with Andrew Millar at the University of Edinburgh, he returned to Cambridge to pursue the many interactions between circadian timekeeping and human health. His group is based in the Cell Biology division of the MRC Laboratory of Molecular Biology. His main research interest is circadian rhythms: the innate biological 24-hour clock that sustains daily cycles in behaviour and physiology in organisms as diverse as humans, plants and bacteria.